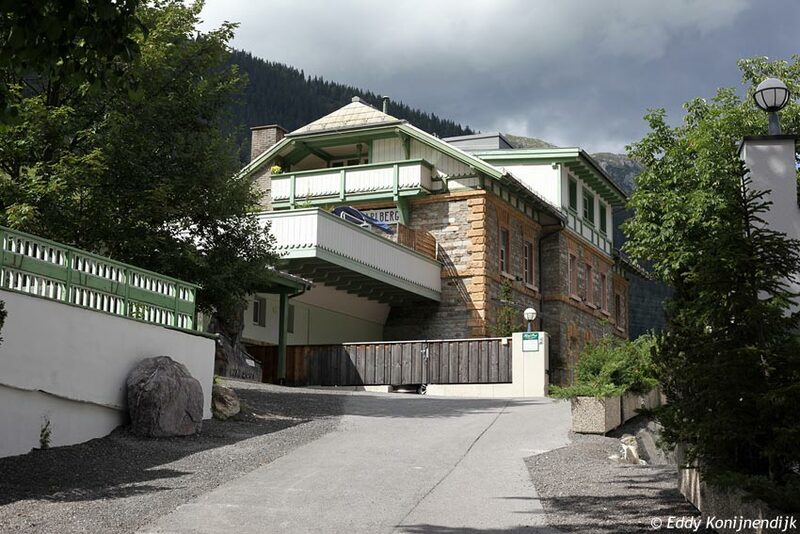 Former station St. Anton am Arlberg, 09-08-2012. 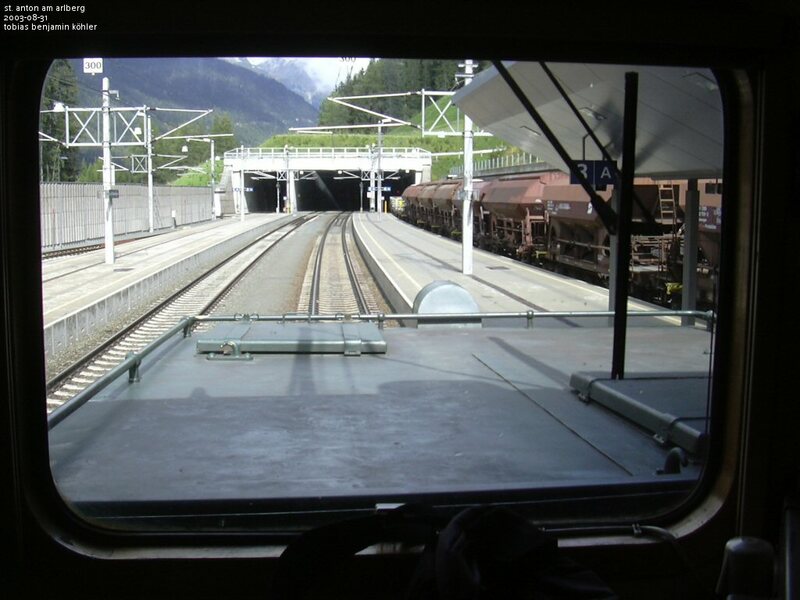 Station St. Anton am Arlberg seen from the cab of the 1020 042-6. 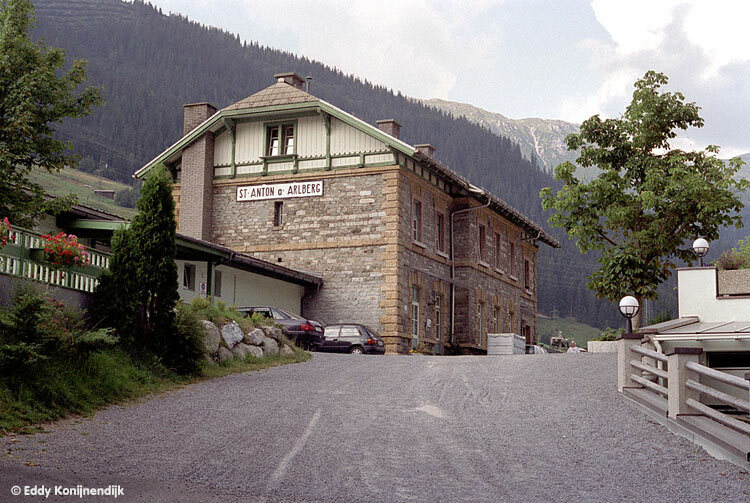 Outside view of the station building of St. Anton, nicknamed "St. Beton" among the locals. 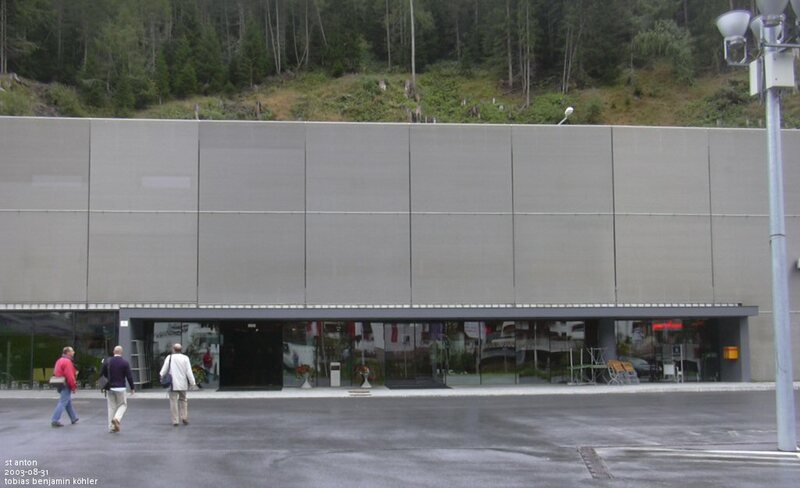 Toilet in St. Anton, in a real high-tech design. 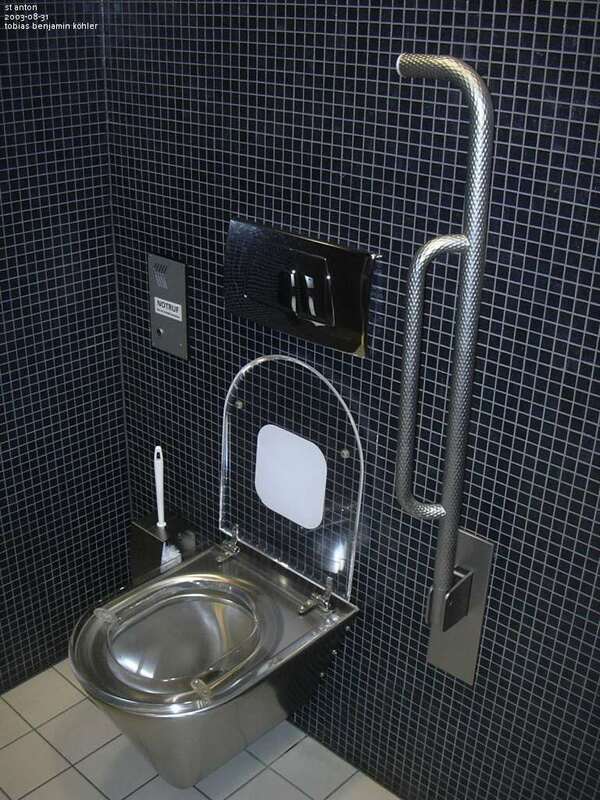 If you ever have to go to toilet in a railway station, do it here. Nicely clean and free of charge as well. 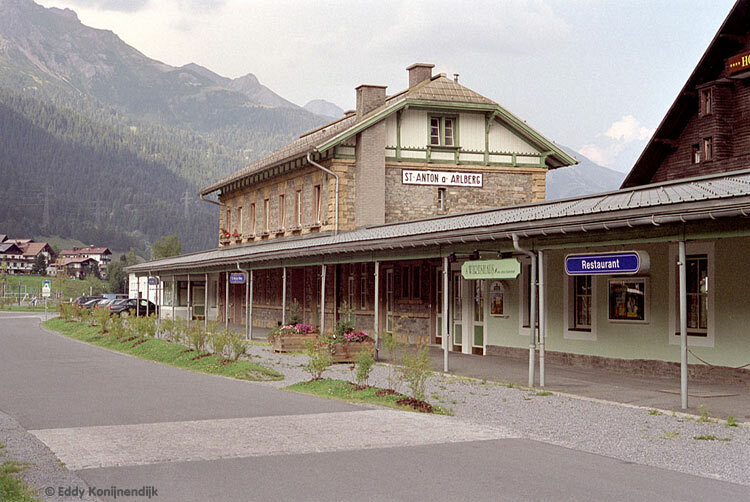 Station St. Anton am Arlberg, 21-07-1994. 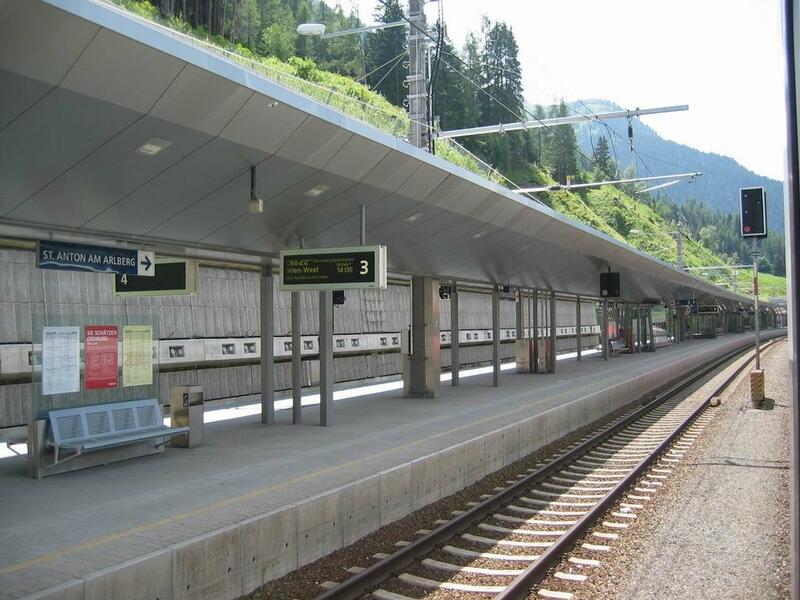 Bus stop on the north side of St. Anton am Arlberg station. 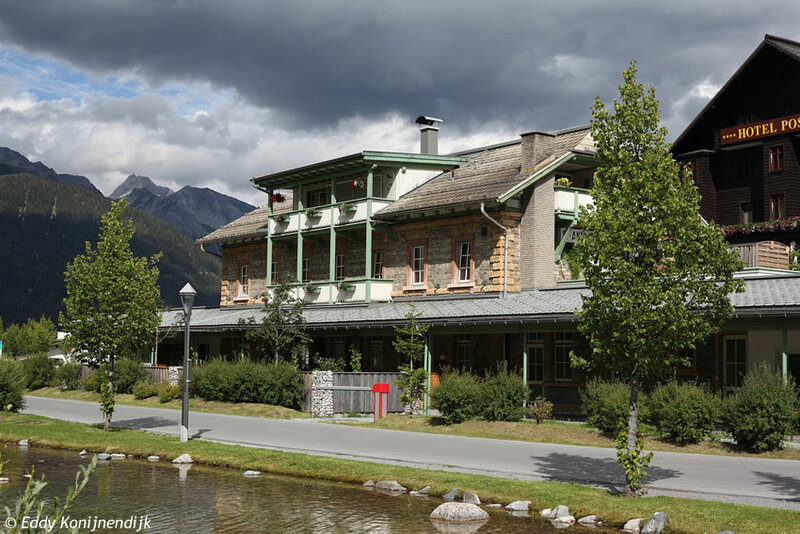 Together with Langen am Arlberg, it is the only remaining station on the Arlberg railway between Landeck and Bludenz. 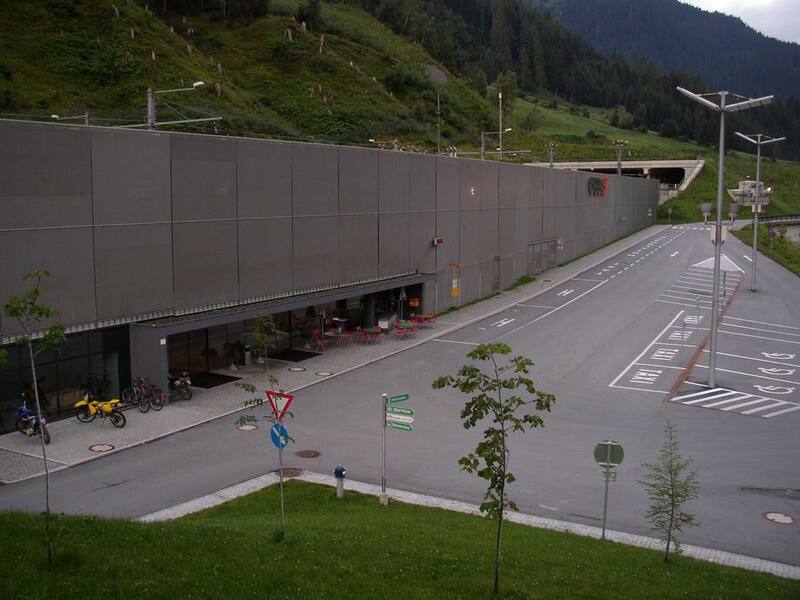 New Arlberg tunnel entrance seen behind. Photo taken Saturday 21 June 2003. 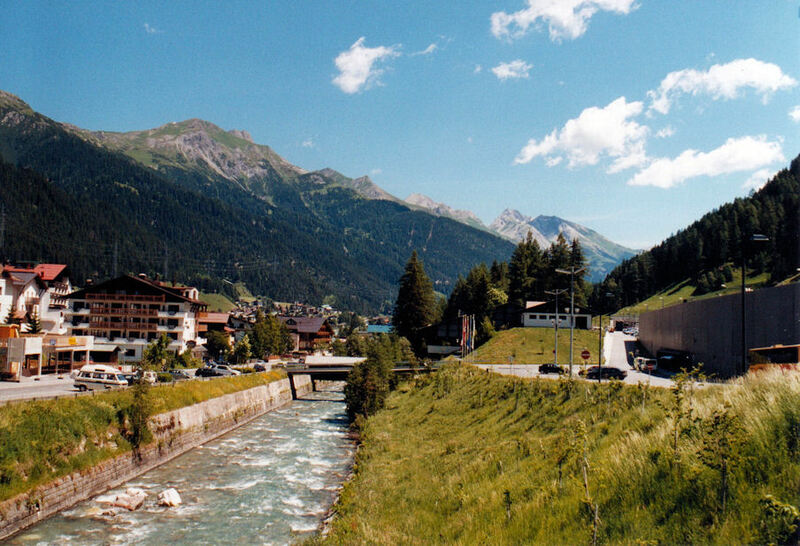 Village view on the north side of St. Anton am Arlberg station with Rosanna river in the foreground. 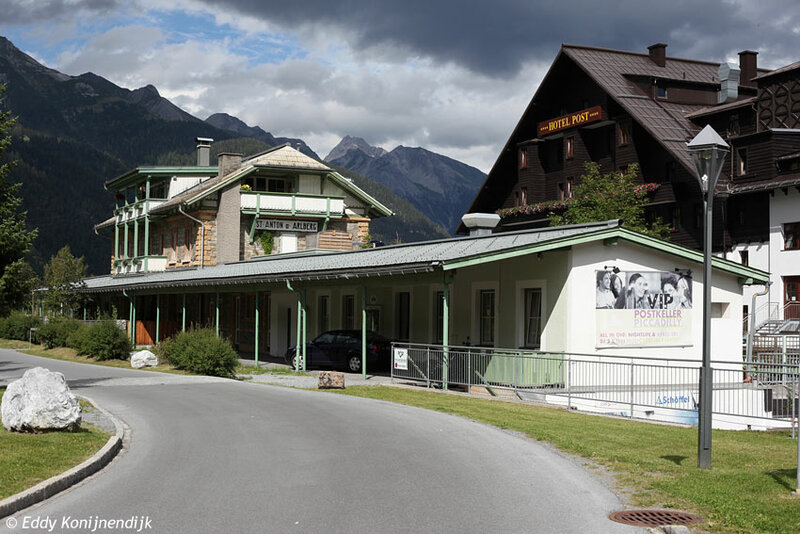 In preparation to the Alpine World Skiing Championships 2001, the Arlberg railway line was laid away from the village centre. 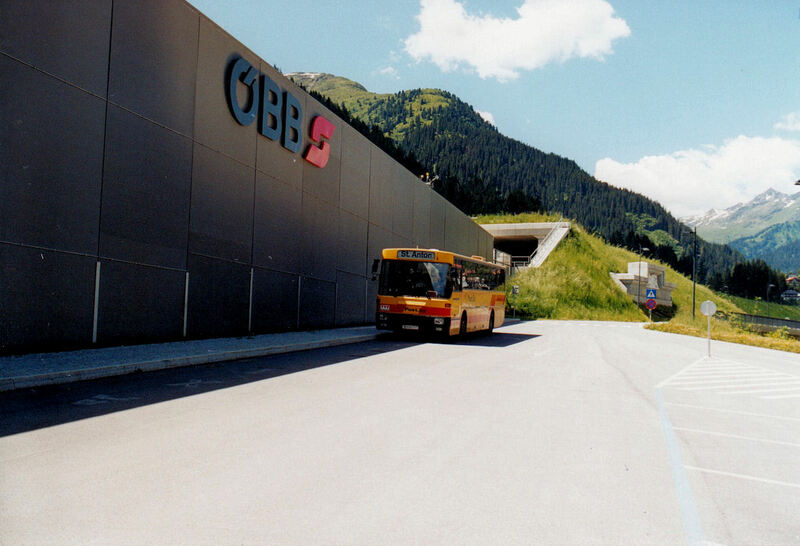 Within 36 months, the two billion Schilling expensive project was completed and on 10 September 2000, the official service started on the new route. 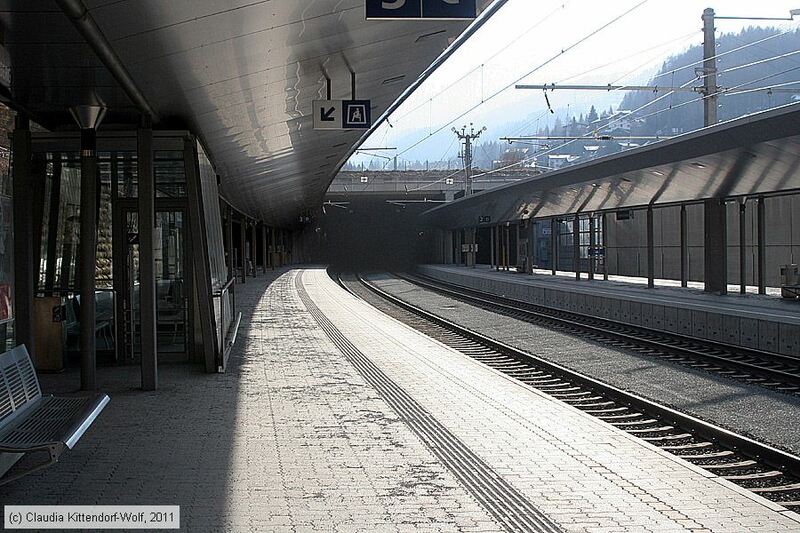 By laying the tracks new open spaces in the village center were created. Photo taken Saturday 21 June 2003. 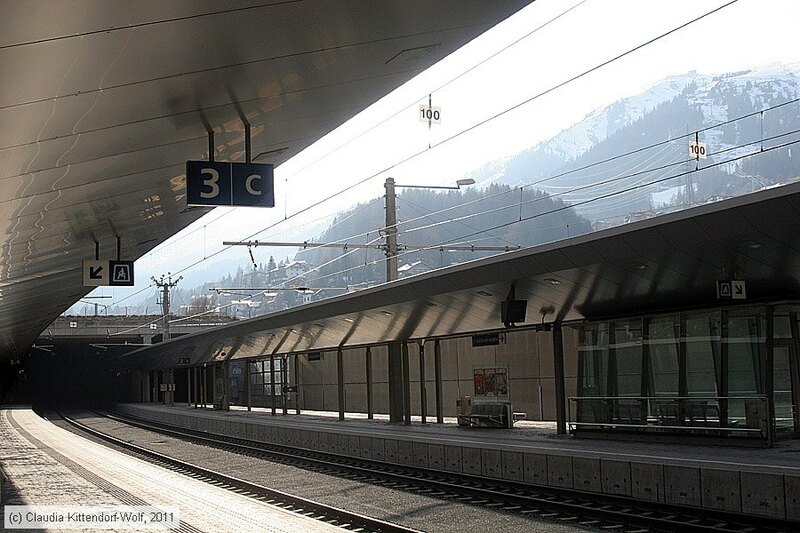 Memorial plate seen at St. Anton am Arlberg railway station. 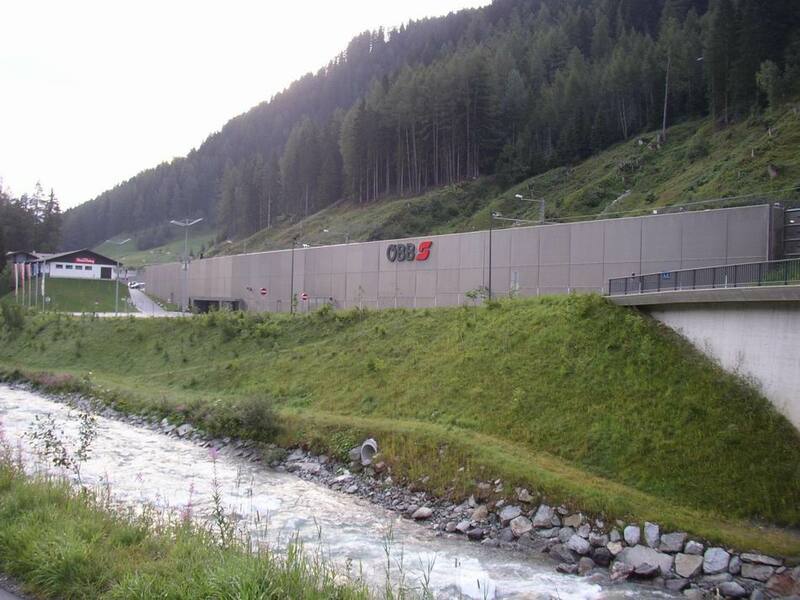 Description: Until the new construction of the Arlberg Railway Line between St. Jakob and St. Anton as a twin track system in the year 2000, this engraved memorial stone was sited in the Arlberg Railway Tunnel. 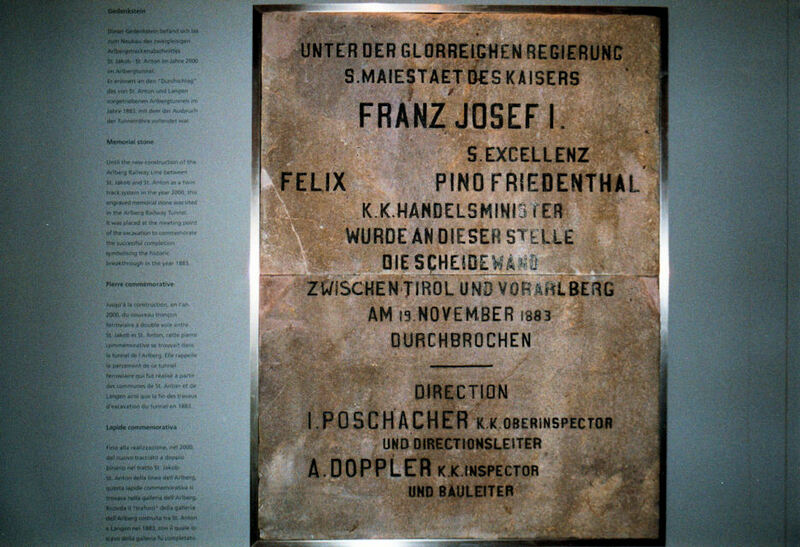 It was plated at the meeting point of the excavation to commemorate the successful completion symboining the historic breakthrough in the year 1883. Photo taken Saturday 21 June 2003. 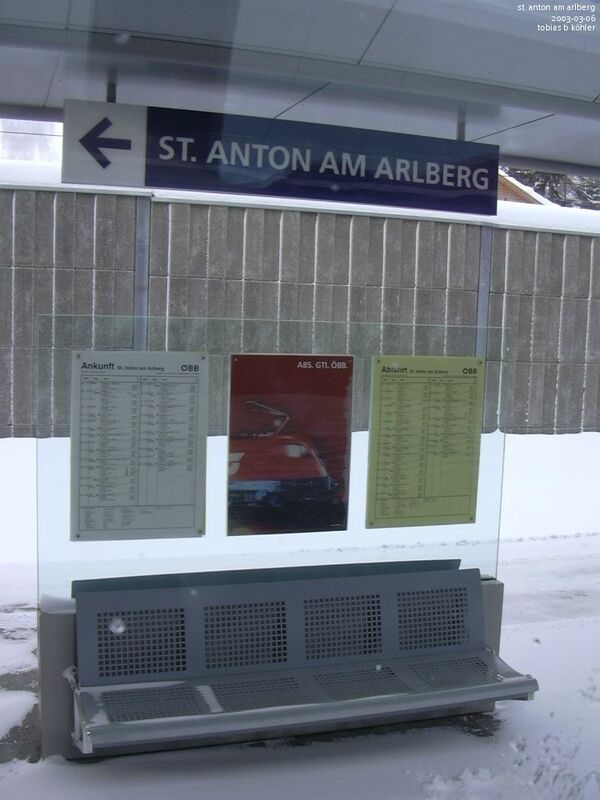 Waiting bench and station sign in St. Anton am Arlberg. 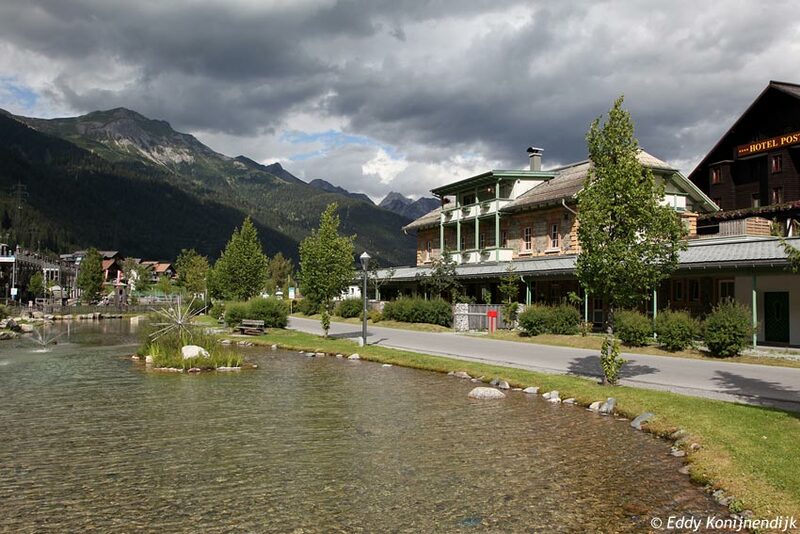 Or do you get to St. Anton when you walk to the left? No, the arrow just points to the exit. 2003-03-06. 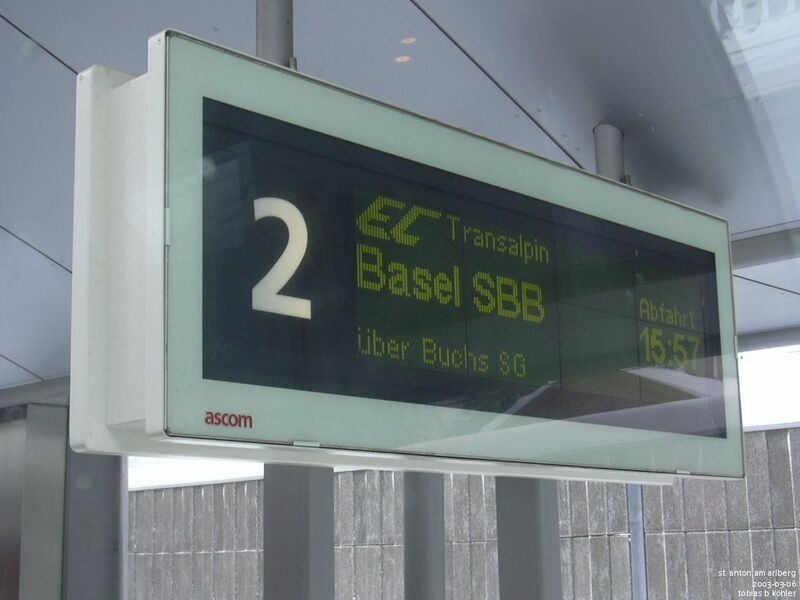 LCD indicator in St. Anton am Arlberg, track 2. 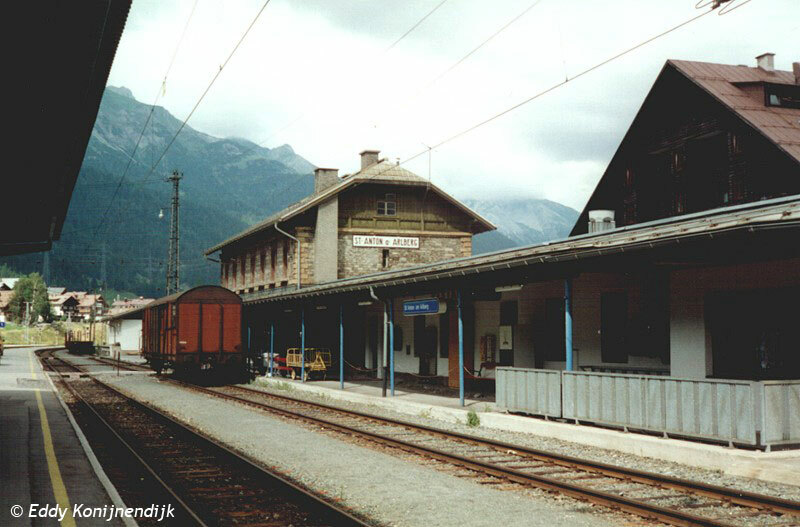 2003-03-06. 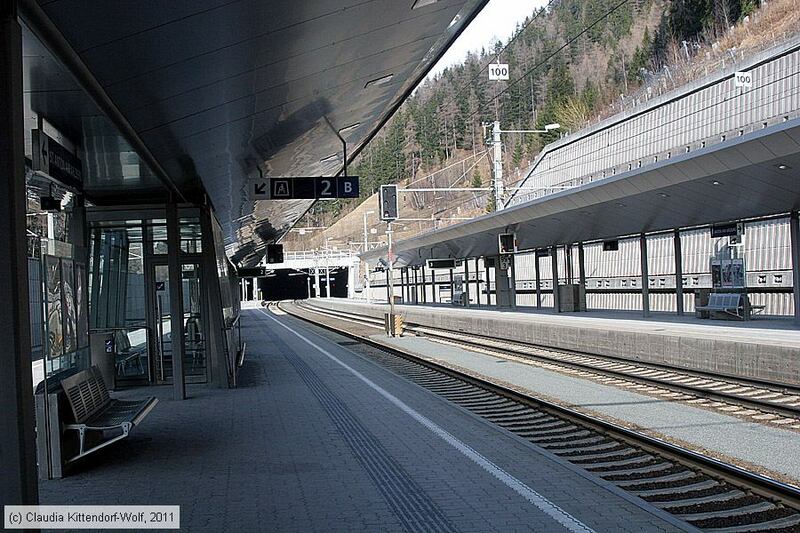 Saturday in the old Station of St. Anton am Arlberg. 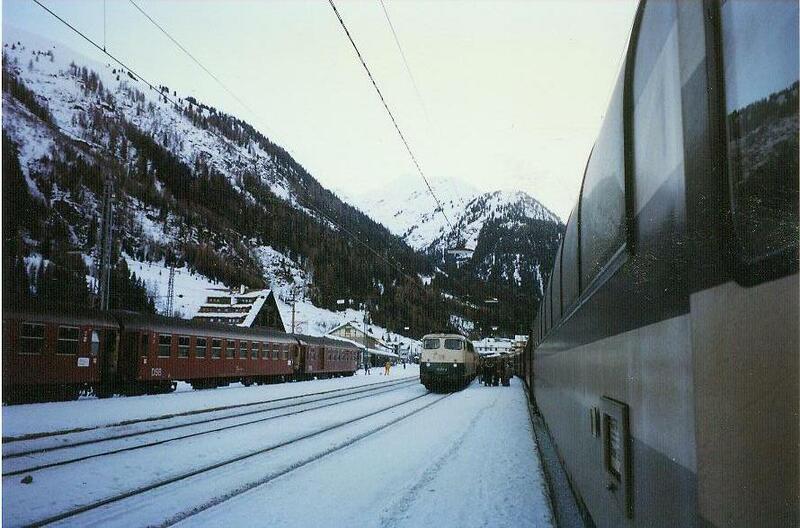 Note the german loco in the middle and the denish couchette-train for skiing tourists, waiting in the station for the return to Denmark.